At the Rondo Retreat, Kakamega Forest, western Kenya. Oct. 2016. 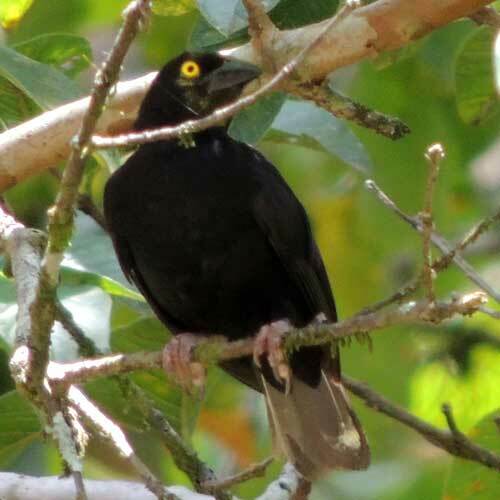 Two features distinguish this all-black plumaged bird: The bright yellow eye and the thick, conical bill. Copyright Michael J. Plagens, page created 12 May 2017.